Many people want to build their own site in a way that will reflect their passions and share their thoughts and work with others . But what happens if you have a great idea but you do not have the knowledge or financial resources to put it in practice in the social networking industry? This is where BoonEx comes in place with a strong solution to solve your problems: Dolphin 7. 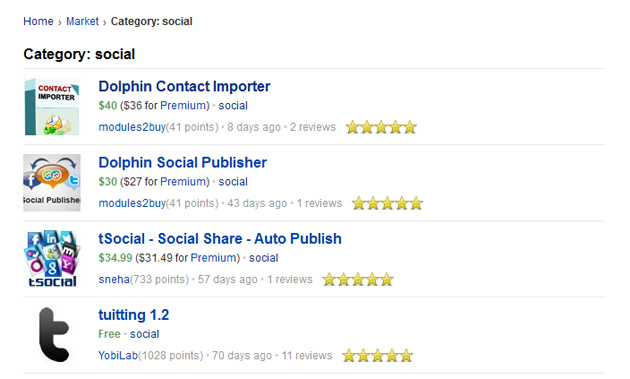 Dolphin 7 is an open-source, downloadable, scalable, customizable, full-featured, independent and free software package for building social networks, dating sites and niche communities. 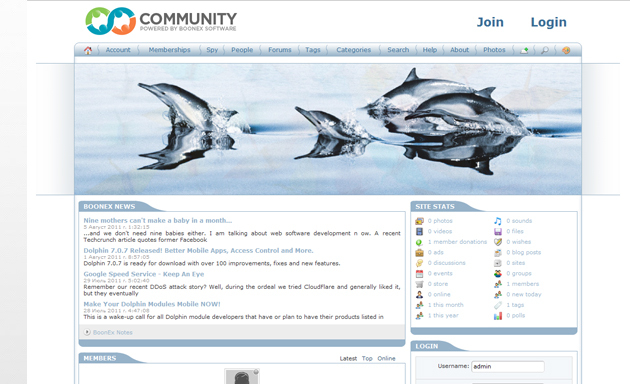 Dolphin is the only “all-in-one” bundle of PHP community scripts, Flash plugins, Adobe AIR and Mobile apps that provide full control, freedom and flexibility. With Dolphin you get unencrypted PHP source code, making it possible to add or integrate custom designs and features. Dolphin is hosted on your own server, where you have complete control over your community site members and content. Nobody can tell you what to do with your site. What makes Dolphin 7 the perfect solution for you? You’re backed by a choice of hundreds of templates for community sites, extensions and a community of over 100,000 webmasters. Dolphin is constantly updated, keeping a few steps ahead of the competition. What are the main features of Dolphin 7? Customizable database fields and forms by drag-n-drop builders – community site operators have a user-friendly administration and modification interface. They can change specific fields and customize different forms the way they want and also control default profile fields and their visibility. 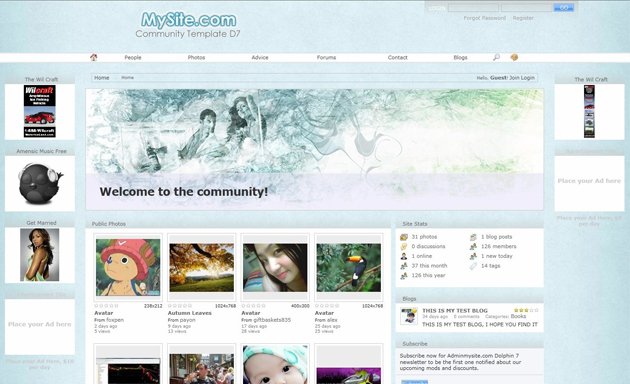 This helps in creating powerful online communities, dating sites, publishing portals or media sharing hubs. Different membership and access levels – you can set multiple membership levels with configurable permissions. This system goes further so that it is possible to set different access levels to all parts of your community site including specific pages and even separate page blocks. There is also possible to charge membership fees and make the integration with different payment providers. 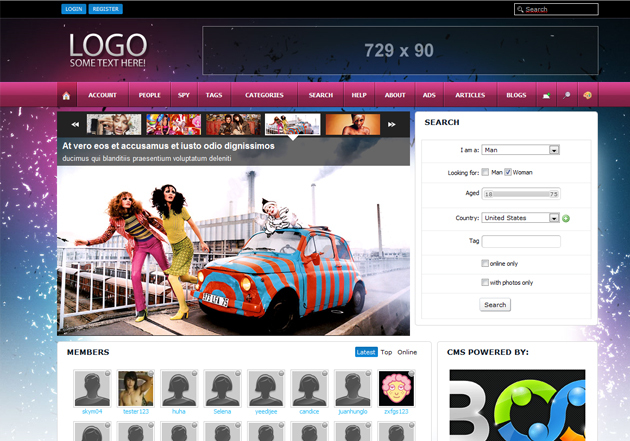 A large database of Extensions, Plugins, Add-ons and social networking site templates. 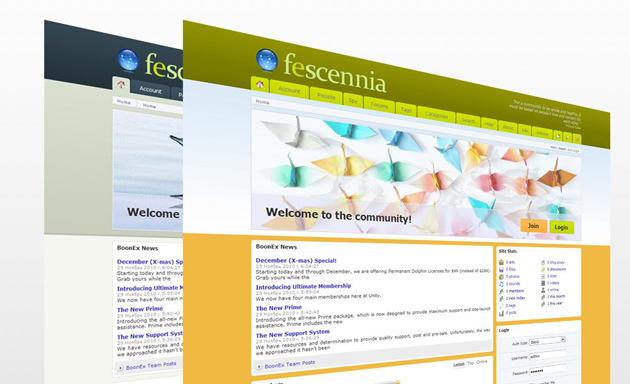 How can you personalize your own site version and where do you get proper templates? All you need can be found at BoonEx Market. There are developers offering quality social networking templates via BoonEx Unity Market at very fair prices or even for free. 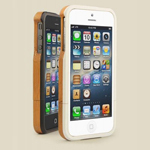 It is very important to get in touch with template creators and have customized work done for your site. In this way you will have your own identity and will get a few steps further then your competitors in the market. Why should designers use social media?